To commemorate the opening of his Glam Slam club in Miami, Prince performed there on three consecutive nights in June 1994. Following notorious conflicts with his record label, which culminated in him adopting the ‘love symbol’ pseudonym, at the time he focused on performing only his newest material - as he tells the crowd, “The majority of this music will never be released. I’m not signed to a record contract. 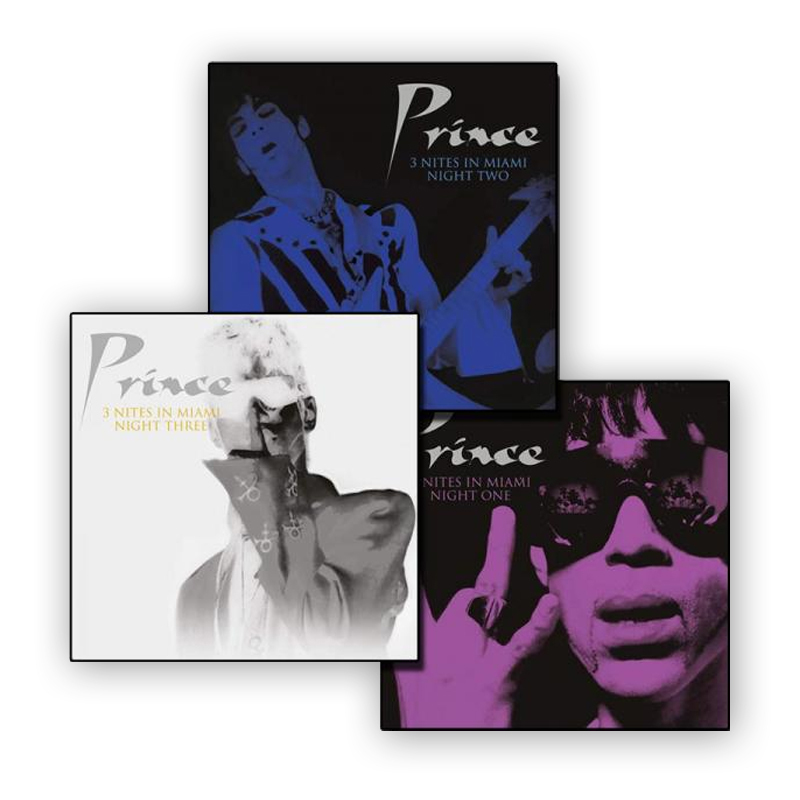 Prince is, I’m not…” Packed with rare music, and originally broadcast on The Box Music Channel, this double LP set comes with an insert containing background notes and images, and is a treasure trove for Prince fans. Originally broadcast on The Box Music Channel, the second night found him playing an intense hour-long set that focused on his most recent material, including a superb rendition of his worldwide smash The Most Beautiful Girl In The World. Packed with rare music, this LP is a treat for Prince fans, and contains an insert offering background notes and images. Originally broadcast on The Box Music Channel, this LP covers the final night, on which he hit the stage at 2:45am, playing an intense 80-minute set. The focus is on his more recent material, and his band is on typically intense form. Packed with rare music, the album is a treat for Prince fans, and contains an insert offering background notes and images.